When we embarked on our 19 in 2019 campaign, we wanted to solicit stories from within our community that embodied Dana Point’s motto of “Harboring the Good Life.” These people may work, live, or volunteer in the community, and are nominated by someone in Dana Point familiar with their positive endeavors and community spirit. 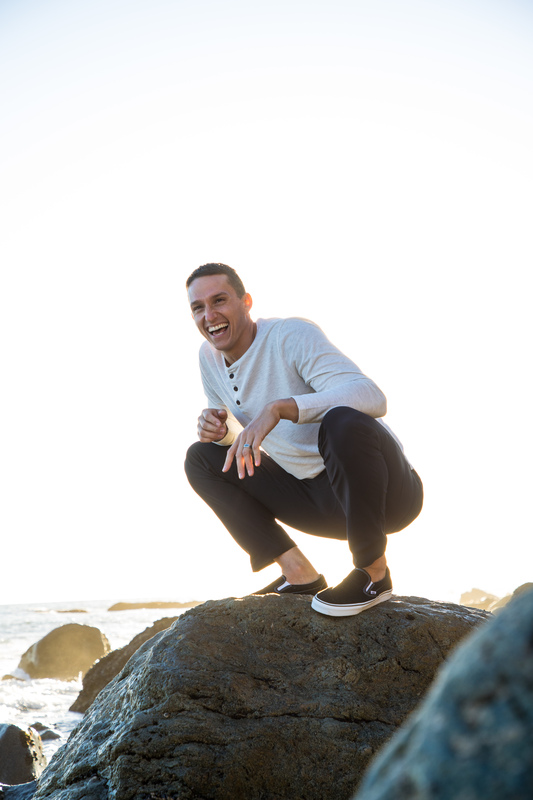 Our first profile is Dr. Daniel Kimbley, who not only lives in Dana Point but his business – Nexus Family Chiropractic – is less than a mile away from his home in the Lantern District of Dana Point. In addition to living and working in the community, Kimbley has volunteered for numerous events with the Monarch Beach Sunrise Rotary Club, is an Ambassador for the Chamber of Commerce, and supports a number of professional organizations inside of the chiropractic profession and locally in Dana Point. Dr. Daniel has given back to the Dana Point Community by sponsoring the Dana Hills High School girls basketball team, donating and participating the Taste of Dana event, and volunteering for the Dana Hills Grad Nite event. He and his wife Heather, also regularly volunteer for The Just Like Me Foundation events, the Dana Point Lobster Fest, the Doheny Blues Festival, the Senior Thanksgiving Luncheon, and the Boys and Girls Club Holiday Homework Drive. In addition, they are active sponsors and participants in the John Malcolm Elementary PTA and helped sponsor the first ever Healthy Kids Running Series in Laguna Niguel. All of this while being in their first year of business. Kimbley has more than a passion for helping people with their physical ailments. He has a distinguished career guiding the young minds of America. With a degree in Secondary English Education from Indiana University—Purdue University Indianapolis, Kimbley began teaching at the largest high school in Indiana, where he grew increasingly interested in the brain, childhood stress, and its implications on how kids learn and become successful as adults. He began developing new teaching strategies that taught soft skills, focusing on grit, willpower, curiosity, and creativity. As he started implementing concepts that had never been done in a classroom setting, administrators began asking him to mentor other teachers. He became the AVID Coordinator for the high school, taught 10th-grade honors English, and an inclusion American Literature class with juniors. As all of these changes in his teaching career were happening, he was simultaneously learning more about the chiropractic care he had just experienced as a patient. 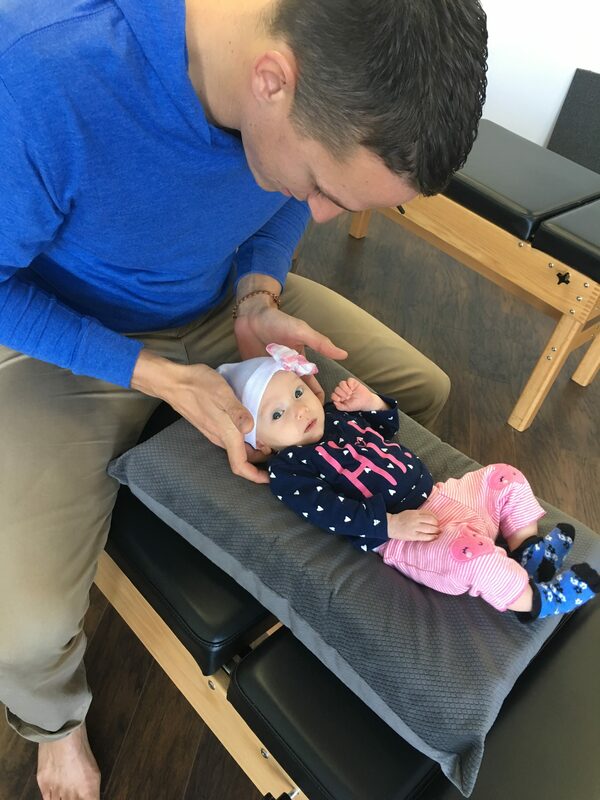 What he discovered is that the same part of the brain he was learning about to make a greater impact with his students in the classroom was the same part of the brain that was highly influenced by the chiropractic adjustment. The longer he taught, especially in his students with autism, ADHD, and other learning disabilities, he began to ask the question, “What if these students were under chiropractic care to increase academic performance and further influence the part of the brain responsible for success?” He then had the epiphany that to create a lasting impact in entire communities and generations of people, he needed to become a Doctor of Chiropractic to provide the care he so desperately knew his students needed. His goal was to teach these principles about the nervous system, learning, and success to entire families. In 2014, Dr. Kimbley resigned from teaching, took the summer off and then began working on his Doctorate of Chiropractic. He and his wife Heather began to look for a permanent home for their practice. They had two prerequisites: water and a warm year-round climate. That left them looking to either Florida or Southern California. Two years in a row, they traveled the coast of California and fell in love with the small-town vibe of Dana Point. In December of 2017, Kimbley graduated from Life University in Marietta, Georgia earning the Clinic Excellence Award for outstanding clinical skills for his graduating class. He was also awarded a Core Proficiency Award for Relationship Skill and Communication Theory. Kimbley created Nexus Family Chiropractic because he had a passion for educating and supporting whole families by improving connections and relationships, health and healing, as well as giving back through many volunteer opportunities. The Kimbleys always choose to shop local and support local businesses as much as possible. All of this has been by design to serve the community they live in.